I am so excited to share Maddy and Scott's wedding day at Blackstone Country Club! Every thing about their day was perfect and their love a joy to witness! Growing up I remember girls talking about when they get married one day and everything they wanted. Me however, I was never one who day dreamed about her wedding day...so when Scott proposed and I had to start planning I had no clue where to start. So naturally I only gave myself 11 months to prepare everything. Luckily, was the maid of honor in my sisters wedding in 2017 and my best friends wedding in 2018 so I had a small taste of what I needed to get done. The venue was the hardest decision; there are so many beautiful places in Arizona (and pricey) and I just couldn’t choose! Blackstone Country Club, however, stood out to me most and after touring and talking with the coordinator I fell in love. They made it so easy providing almost everything from ceremony to seating to the cake! All I had to do was find my photographer, florist and a DJ! I decided to go with a mis matched pink look for my bridesmaids and balance it out with navy blue neutral groomsmen and of course adorable ring bearers and flower girls. I let my bridesmaids choose whatever dress they wanted and it turned out to look PERFECT! For my dress and my flowers I knew I wanted something unique, and semi-boho styled. I found Moonchild Floral Co and she came up with the perfect bouquet for me! 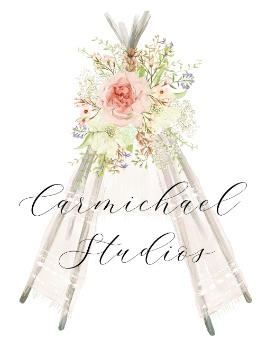 We found Carmichael studios photography through VCA and I am so happy we did! After being able to shoot with them 4 times now...3 before the wedding, we had build a great relationship and I was sure they would capture the day perfectly! In all honestly I feel like I kind of winged it, I had an idea in mind but didn’t get my expectations up too high because I knew just being able to marry Scott was what was most important and everything came out better than I imagined. Stunning, right? Now take a look at her handsome groom, Scott. We always love it when our couples choose to do a first look, and Maddy and Scott's first look was very sweet! The ceremony was filled with emotion with Maddy's beaming smile and Scott's sweet tears as they vowed their love to each other. And a perfect ending to a beautiful day. Here is a list of the vendors who worked so hard in making Maddy and Scott's big day such a great success! Victoria and James moon - It was a wonderful day to have a wedding the weather was awesome and the bride and groom are two beautiful people getting married and the Love shined outward to everyone that watched them together. Happiness always lovebirds.